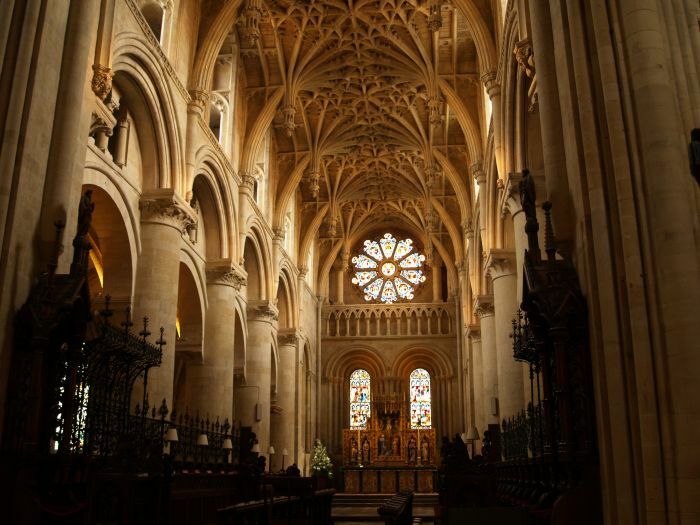 Christ Church Cathedral serves as both college chapel and the Cathedral for the diocese of Oxford. 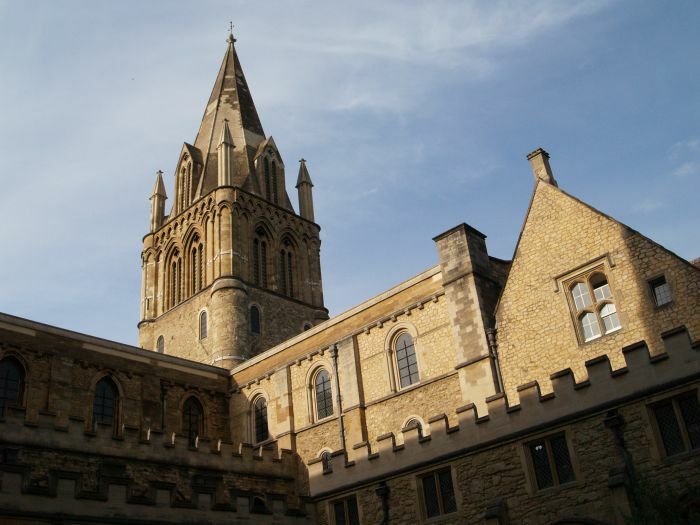 The tower and spire of Christ Church Cathedral. 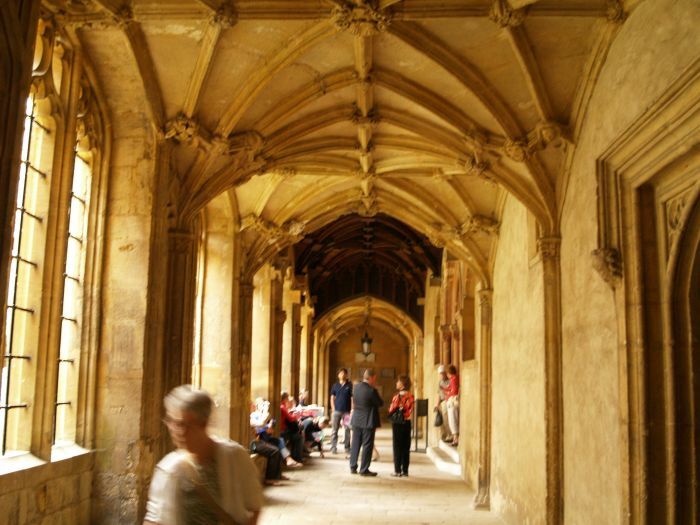 The cloisters of Christ Church Cathedral where the entrance is. 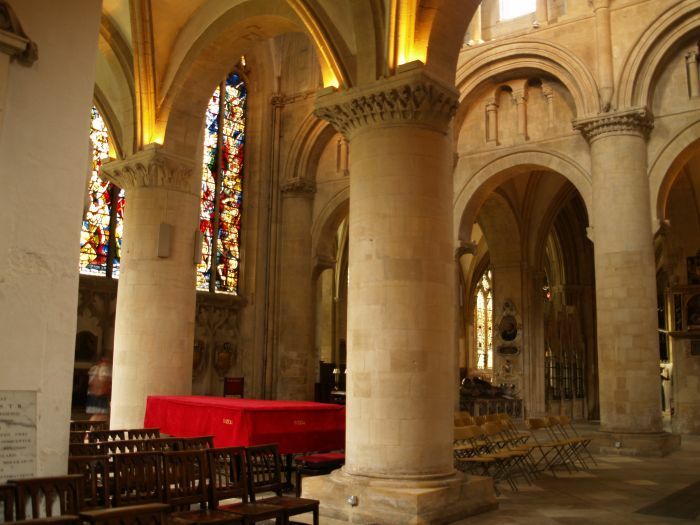 Christ Church Cathedral: Looking across to the Lady Chapel and beyond the Latin Chapel, through the mighty columns of the nave and north aisle near the crossing tower. 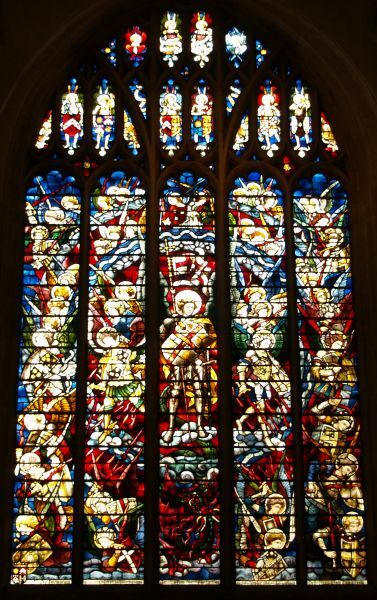 Christ Church Cathedral: The north window in the Lady Chapel. 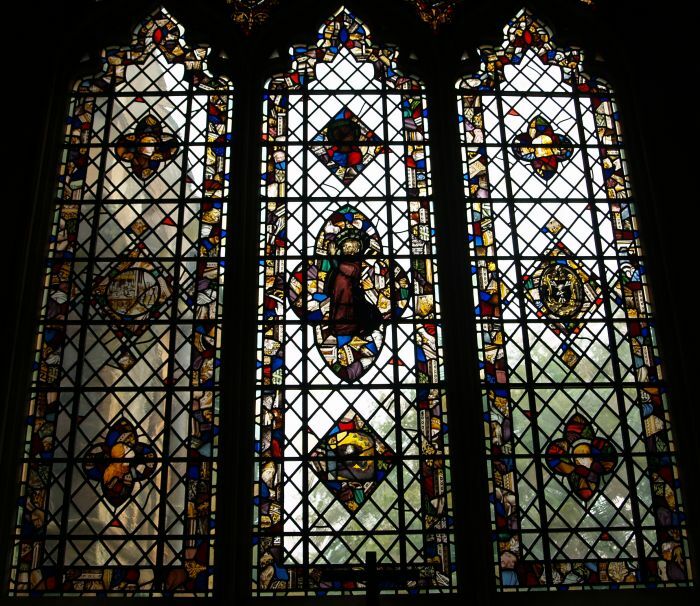 Christ Church Cathedral: Details of the north window of the Lady Chapel. 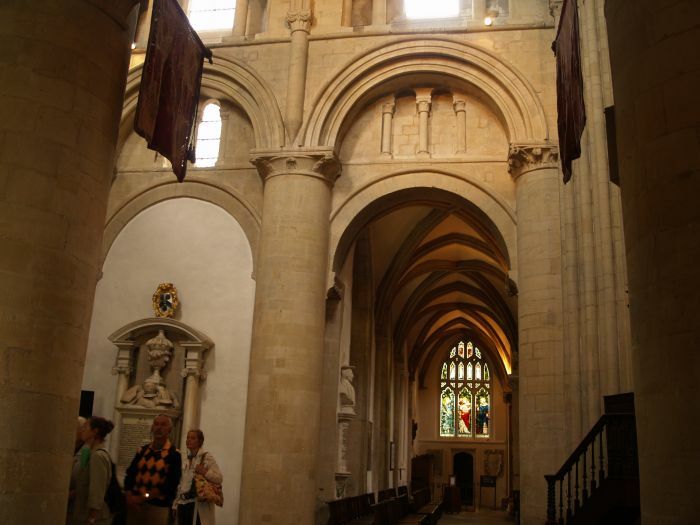 Christ Church Cathedral: Looking from the nave into the Lady Chapel. 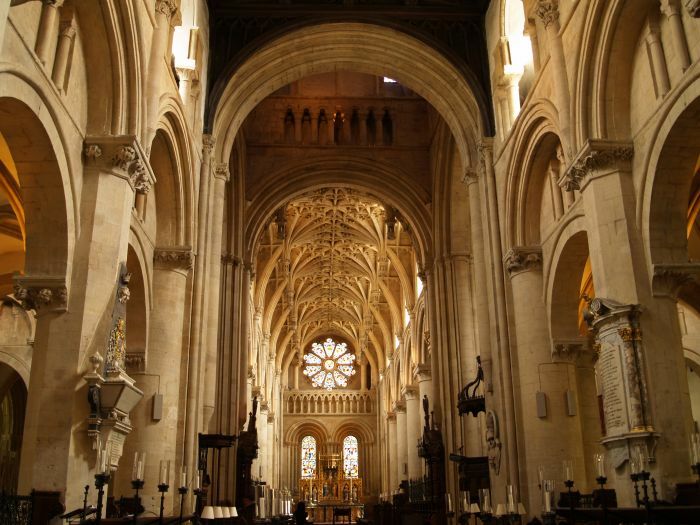 Christ Church Cathedral: Looking east down the nave to the chancel, altar and above the Rose Window. Christ Church Cathedral: Looking east down to the nave and up into the magnificent ceiling of the chancel. 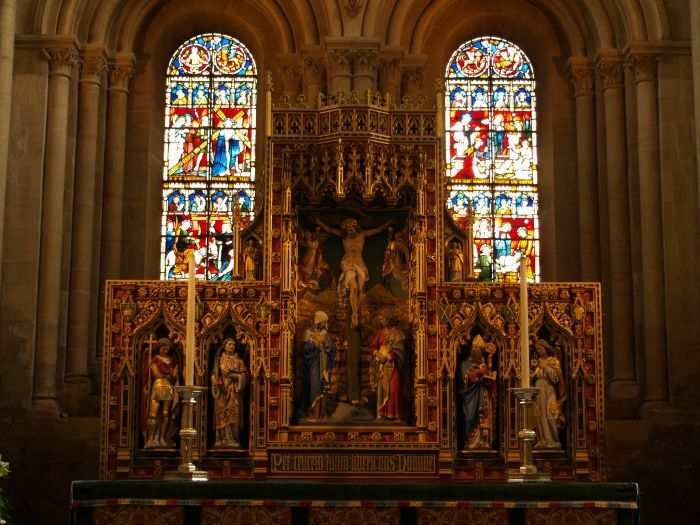 Christ Church Cathedral: Two of the east windows and altar piece. 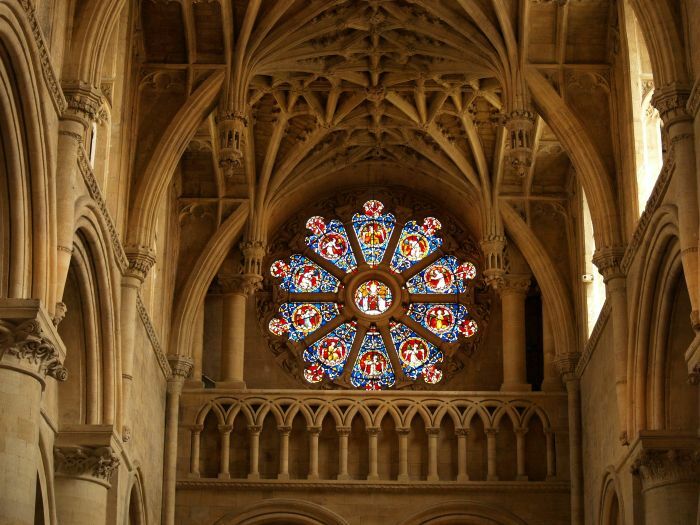 Christ Church Cathedral: The Rose Window. 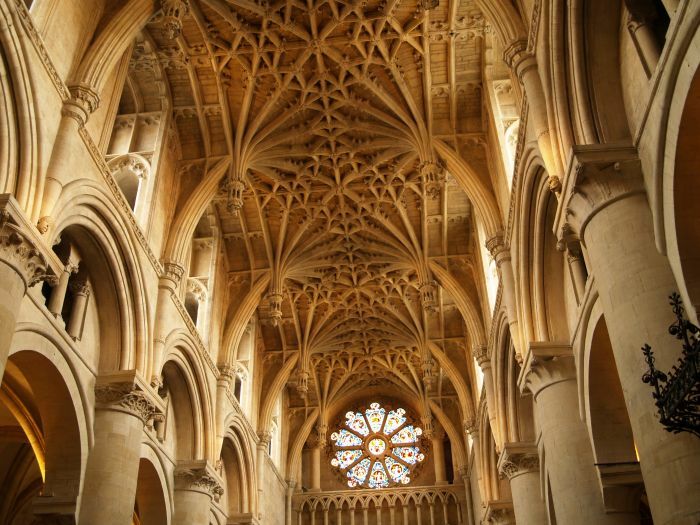 Christ Church Cathedral: The fantastic vaulting of the chancel. 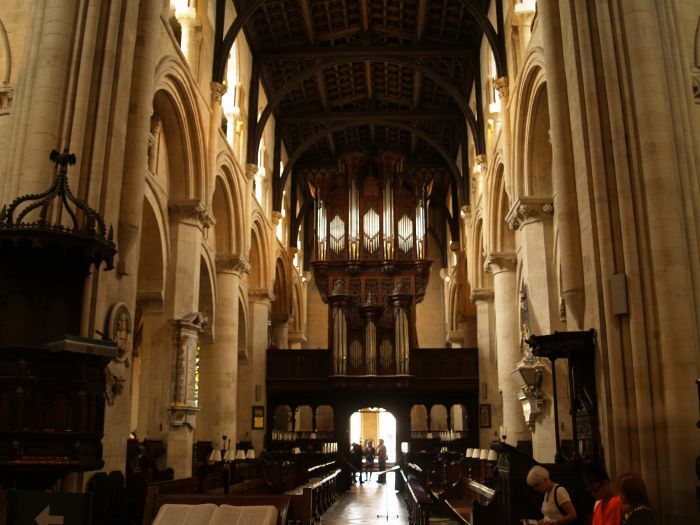 Christ Church Cathedral: The choir stalls and organ. 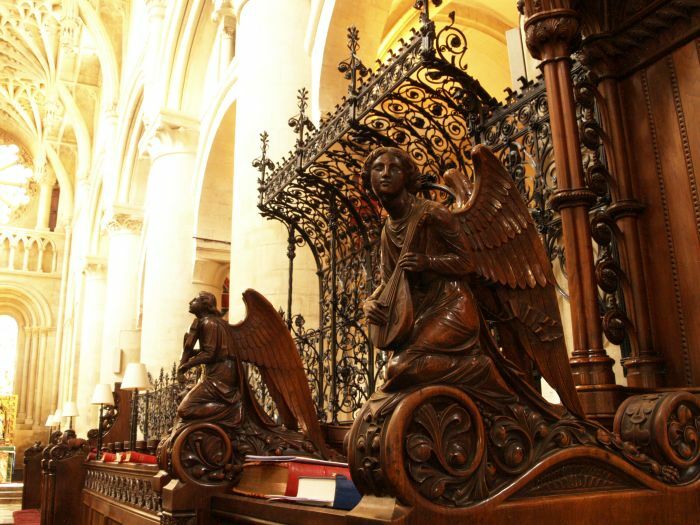 Christ Church Cathedral: The beautiful 'musical' carvings in the choir stalls. 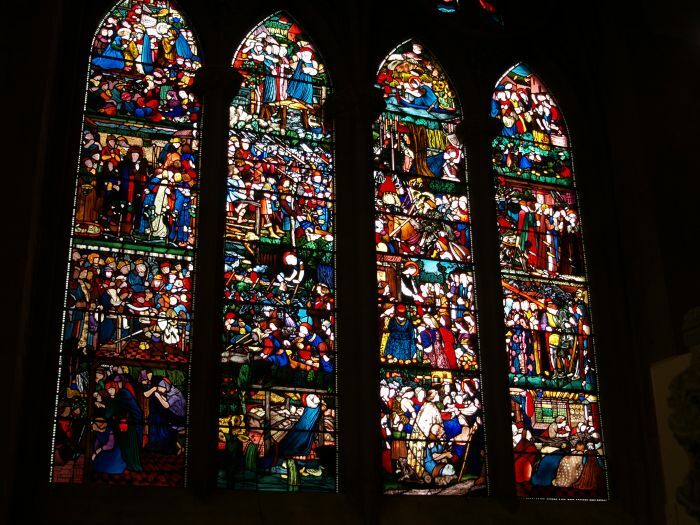 Christ Church Cathedral: The stained glass window in the north wall of the Lady Chapel. 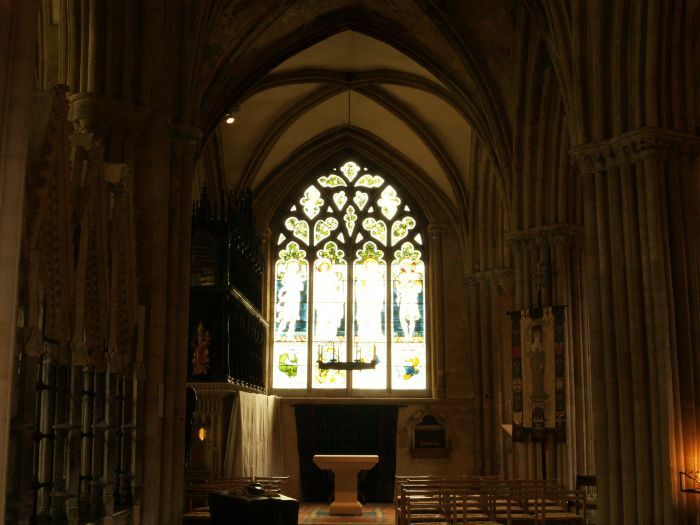 Christ Church Cathedral: The Lady Chapel and its east window. 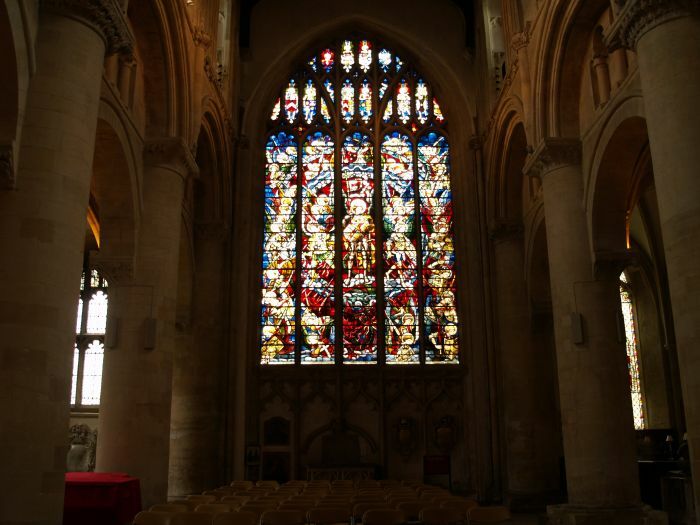 Christ Church Cathedral: The St Frideswide window in the Latin Chapel. 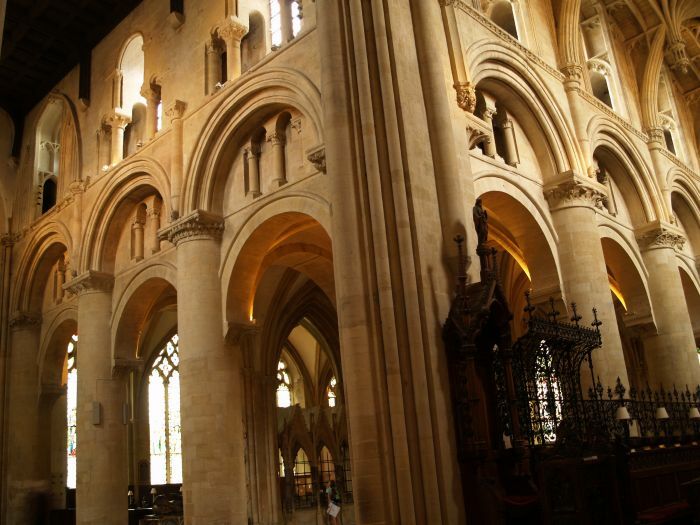 Christ Church Cathedral: The cloisters, looking west from the north aisle of the nave. 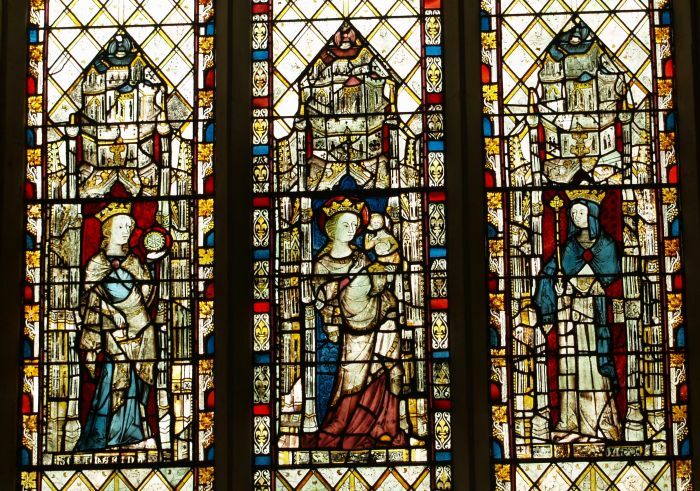 Christ Church Cathedral: The Becket Window with parts dating from ~1330. 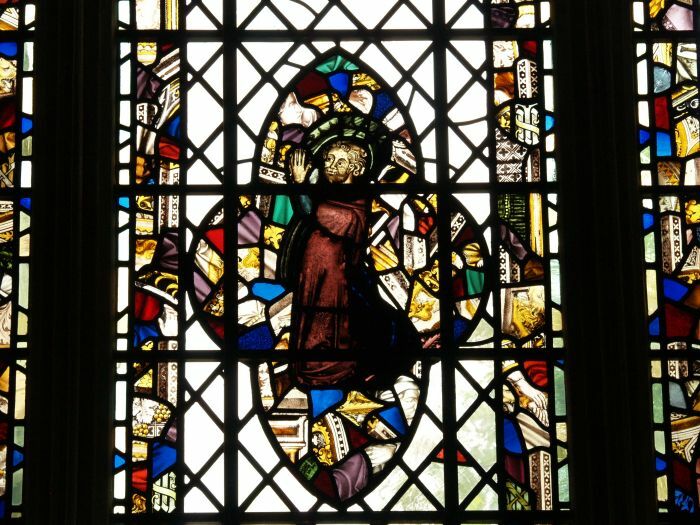 Christ Church Cathedral: Detail of the Becket Window. 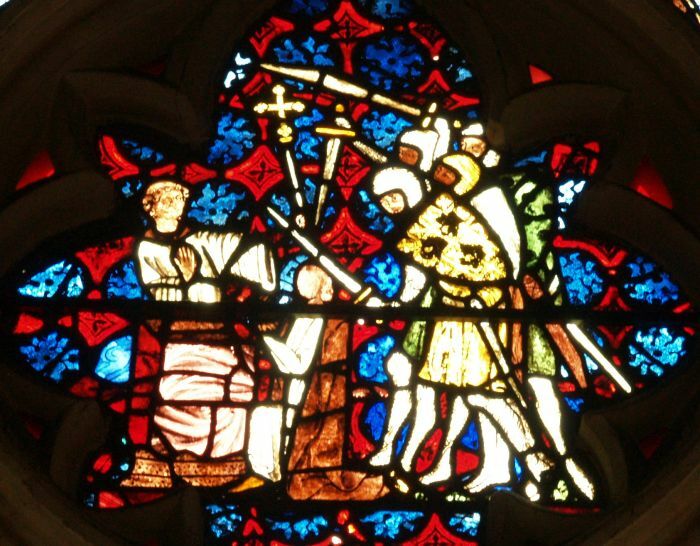 Christ Church Cathedral: The murder of Becket - a rare depiction of the sword bearing knights attacking him. 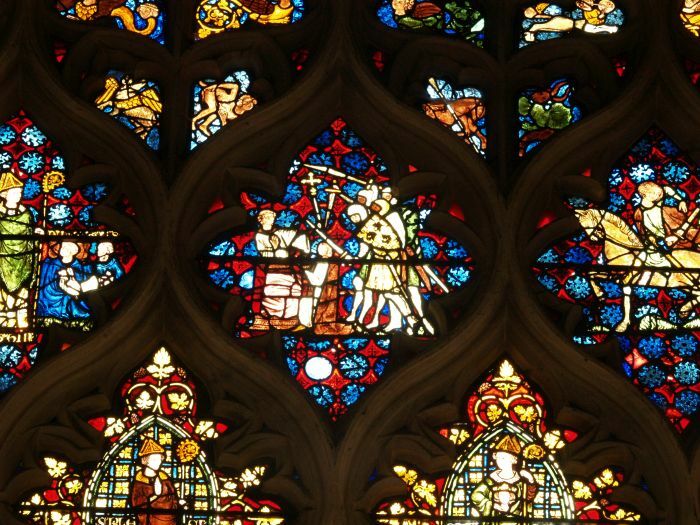 Christ Church Cathedral: Details of Becket's murder in the painted glass window. 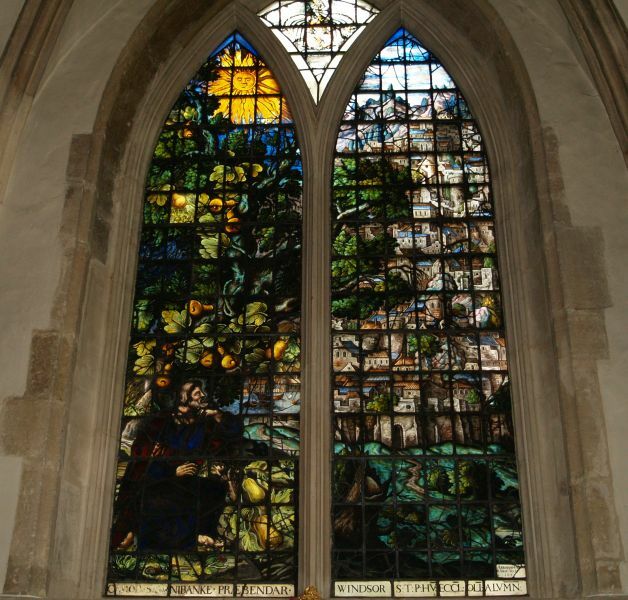 Christ Church Cathedral: The Jonah window at the west end of the north aisle of the nave. 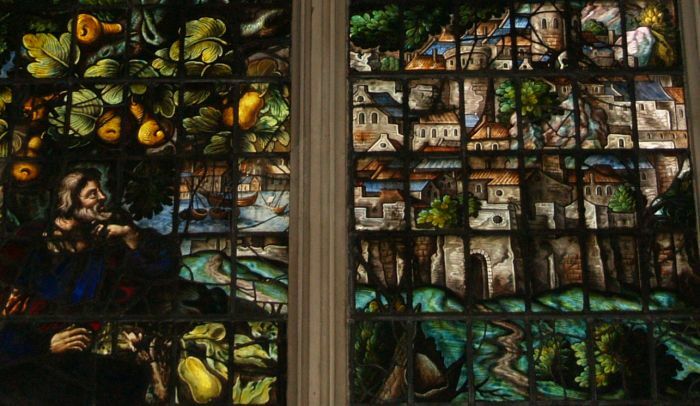 Christ Church Cathedral: Details of the Jonah Window. 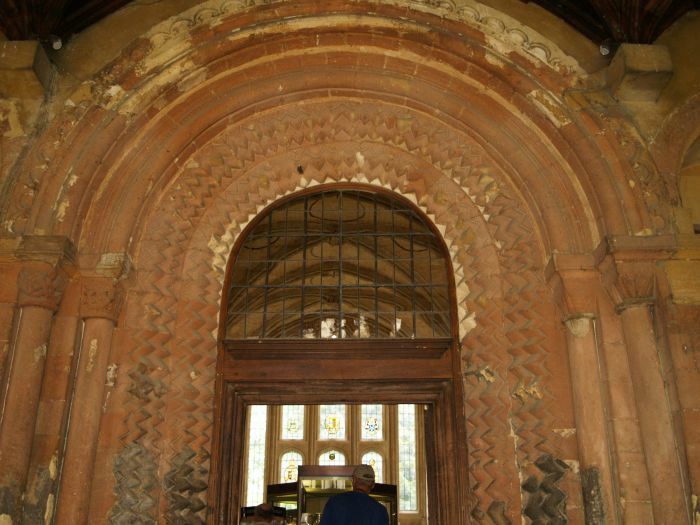 Christ Church Cathedral: The fine carved 'Romanesque' style carvings of the entrance to the Chapter House of Christ Church Cathedral. 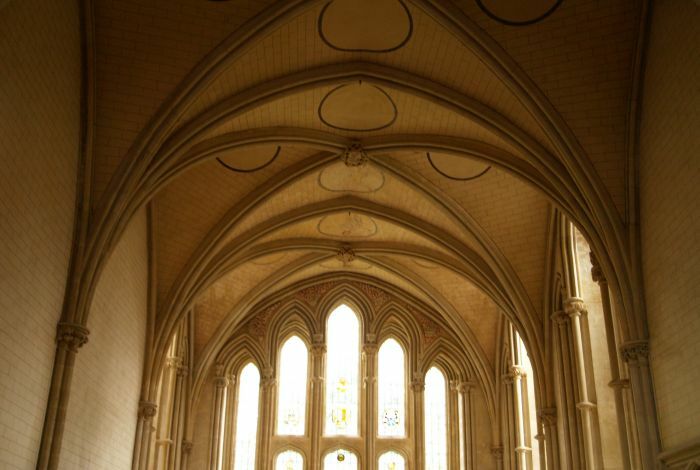 Christ Church Cathedral: The rib vaulting and windows of the Chapter House. 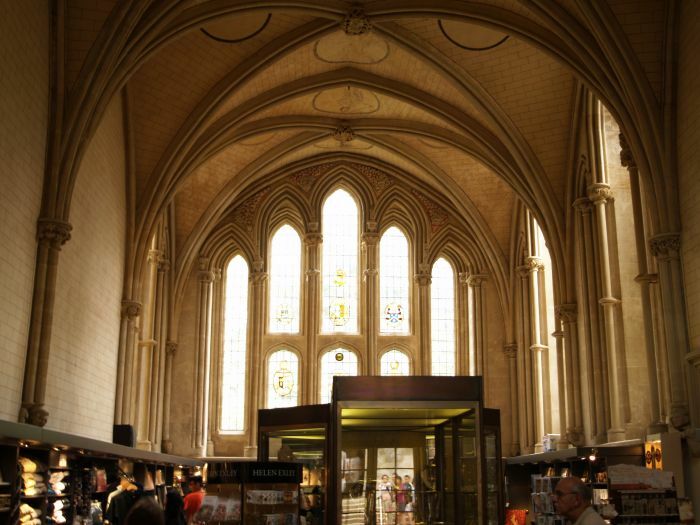 Christ Church Cathedral: The magnificent Chapter House is now a gift shop! 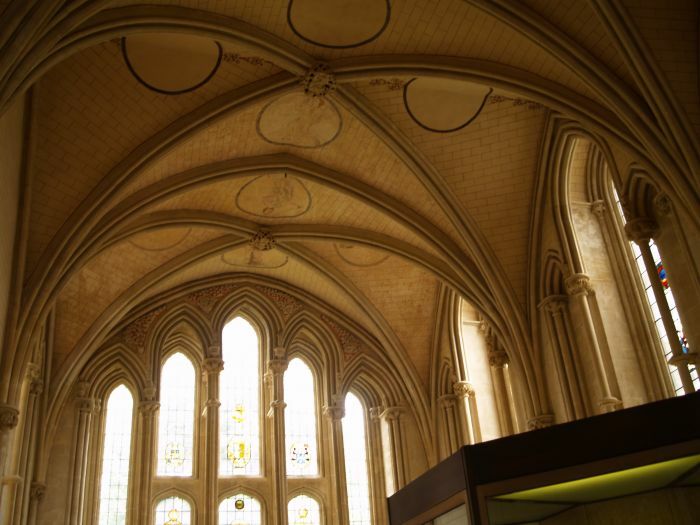 Christ Church Cathedral: The ceiling and windows of the Chapter House.